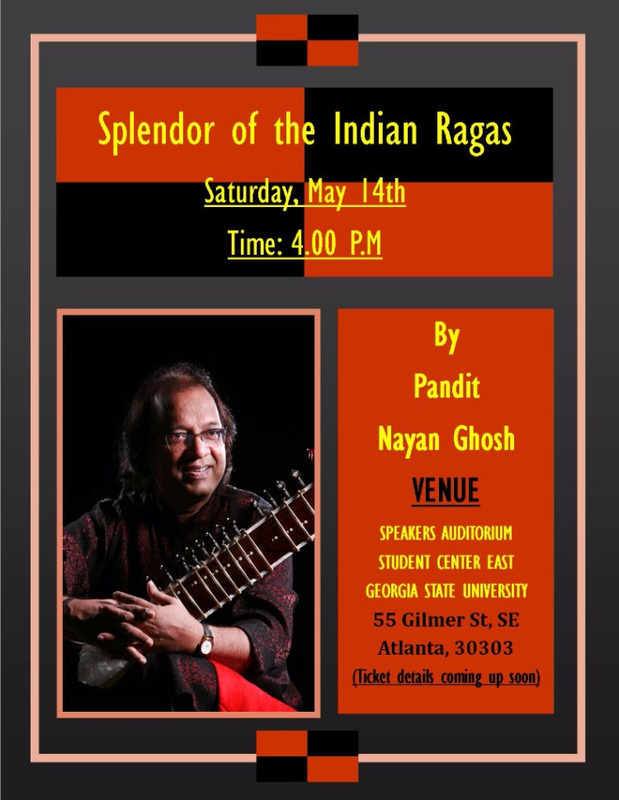 "Splendor of the Indian Ragas"
Pandit Nayan Ghosh, recipient of the Sangeet Natak Akademi Award, (conferred upon by the President of India) and the only maestro with superlative command on two diverse instruments, the Sitar and the Tabla. We welcome anyone who wishes to support or sponsor for this event, to reach us. We will be glad to share further information. An opportunity not to be missed, to listen to a world class artist with an unusual dimension - the only maestro with superlative command on two diverse instruments, the SITAR and the TABLA. If you think you can't be present at this concert, you can still be a part of it, by gifting the tickets to someone who may enjoy this concert. We take pride in cherishing our rich Indian heritage and in presenting such great artists like Pandit Nayan Ghosh, If you or someone you know is interested in supporting us by being a sponsor/ corporate sponsor please let us know. (Sponsorship package includes VIP tickets as well). We hope you will join us. at this event. Thank you for your support and in believing us.